This is one of the popular promos available from Globe when you dial *143# menu. 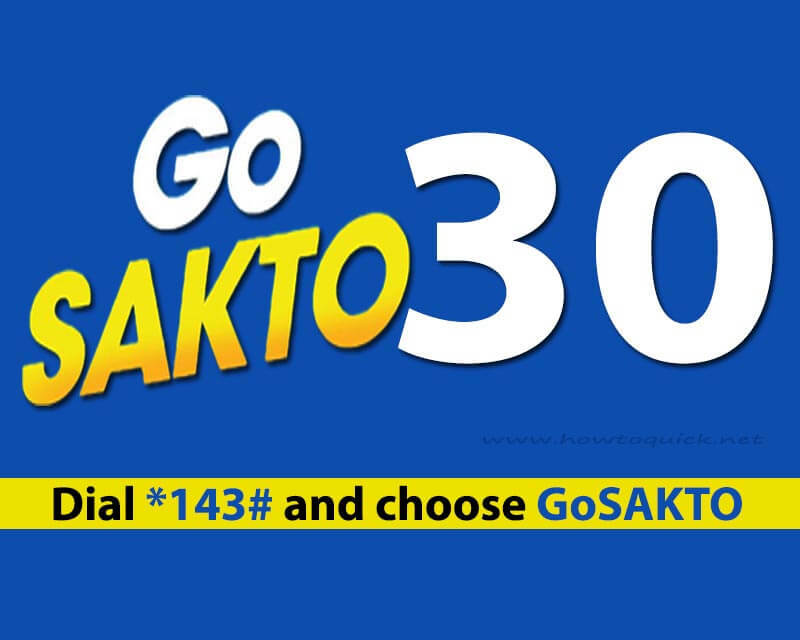 The GoSAKTO30 promo gives you unlimited calls to Globe, TM, ABS-CBN Mobile and Cherry Prepaid for 2 days. You can also enjoy non-stop SMS messaging white out worrying what network or SIM they as it also includes unli all net texts. Lastly, you also have 30MB of data that you can use to access the internet if needed. All of that only cost you 30 pesos valid for 2 days. That means you only spend Php15.00 with GoSAKTO 30 per day to get unli call and text to all networks daily. You have two options to subscribe. First is via SMS keyword and second is through Globe USSD code menu *143#. Just text GOCOMBOIJGB30 then send to 8080. After successfully texting the keyword, you will receive an SMS notification from 8080 to inform you about the status of your promo subscription. To use the 30MB allocation, just turn on your mobile data then open your browser or apps that you want to use to access the internet. Note that GOCOMBOIJGB30 is the same with GoSAKTO30.